Your Assimilative Capacity Has Been Reached! 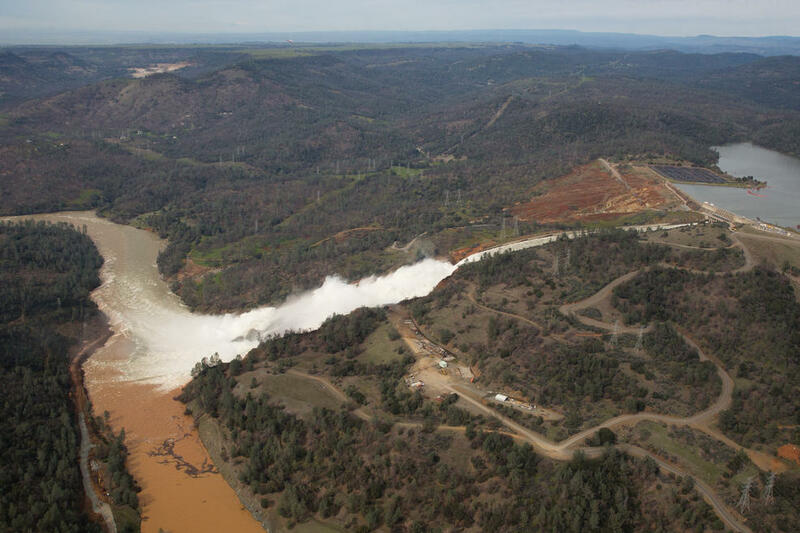 Given the recent rains in California, resulting in the evacuation of some 100,000 people due to concerns over stability of Oroville Dam, you would think California’s drought problems are over, but you’re wrong. While California is suddenly rich in surface water, the groundwater, or dinosaur water as some refer to it, has farto go before it’s been recharged. That process takes years, even decades, and a few rains, big as they are, won’t do much to change things. On an excursion, a few years back to Santa Fe, NM, I was struck by how dry it was even in late fall. Yes, the climate there ranges from arid to semi-arid, but should even the snow feel dry? For me, it accentuated what’s true for much of the western half of our nation: we’re running out of water. The Ogallala aquifer, a ten-million-year-old fluvial groundwater deposit, provides water to New Mexico and seven other High Plains states and is the most important water source in the region, covering an area of 174,000 miles. Eighty-two percent of the people living in the High Plains get their drinking water from this aquifer system, yet most of the Ogallala is used for agriculture. About eighty percent of the food grown in the U.S. comes from this part of the country. No wonder the Ogallala is depleting at a rate fourteen times faster than it’s recharging. Factors such as population growth, and contaminants like pesticides and nitrates have contributed to its decline, and failure to recharge means not only less water but also degraded water quality. Recharge occurs through rainwater and snowmelt combined, a paltry one inch per year. With eight states utilizing one aquifer, at this rate of withdrawal and recharge the Ogallala will be depleted in a few decades and, once gone, there is no turning back. The main barrier to more robust recharge is impermeability. Currently, the specific yield of the Ogallala -- meaning what’s available for use -- is 15%. The rest of the water is locked up in the unsaturated zone where it’s inaccessible due to impermeability. Until the technology is developed to move this water to the saturated zone, the high quality Ogallala, once used for drinking without either filtration or treatment, will continue to degrade. If a water body is unable to refresh, the water quality tanks, or to put it in scientific parlance, its assimilative capacity, the level at which the water can no longer cleanse itself, has been reached. Here in the water abundant eastern states drought conditions last seasons, but in the higher elevation arid lands droughts can last for years, turning an acute issue into a chronic one. Without attention, chronic problems tend to become emergencies. While some inroads have been made regarding the impermeability puzzle, they have only achieved small scale relief. It is high time to focus our attention locally, in cities and towns and farms, before our most valuable global natural resource is beyond recharging. Main Loop trail in Frijoles Canyon at Bandelier National Monument, New Mexico. Showing the archeological features left by the Ancestral Pueblo People (Anasazi). Reconstructed Talus House along the canyon wall. The region is not without action-oriented cliff dwelling conservationists, who have practiced water frugality for centuries. Frijoles Creek, located in Frijoles Canyon, Bandelier National Monument, is about a forty-five-minute drive from Santa Fe. The Ancestral Pueblo people made their home near Frijoles Creek, a perennial stream which provided water for drinking, cooking, bathing and agriculture. The Ancestral Puebloans were drawn to Frijoles Canyon by the wealth of resources created by the creek. Wildlife attracted to a water source within easy reach made for good hunting and the abundant plant life allowed for a diverse diet. Without the tools and other structures which are the hallmark of the 21st century (indoor plumbing! ), these dwellers depended on their immediate surroundings to meet their needs. The availability of water was imperative to the quality of ancient life, and Frijoles Creek, a permanent stream in the arid Southwest, was a gold. To preserve it, the ancient Puebloans practiced water conservation. 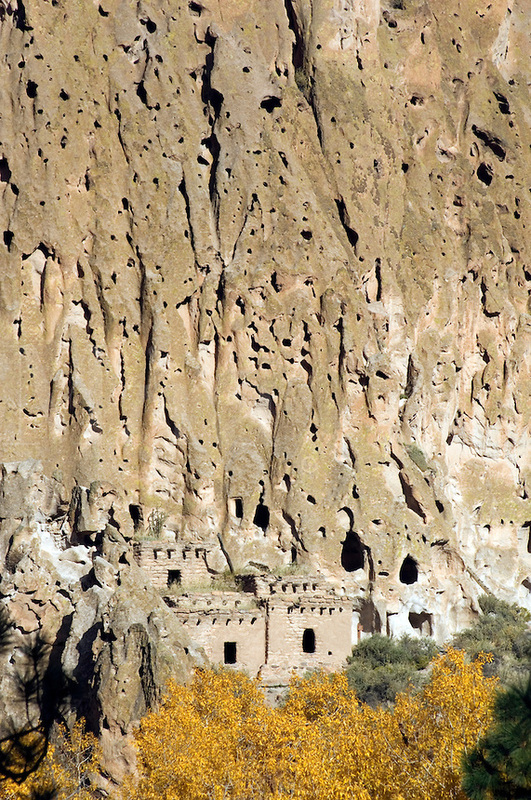 The first inhabitants of Bandelier didn’t have dams or reservoirs. They conserved water by growing staples such as squash, beans, and corn in shallow basins or sloped terraces which minimized runoff, evaporation and subsurface drainage and maximized water efficiency. These folks recognized the value of water and thanked their gods daily for its blessings. Industrialized society has forgotten this. The ease by which we acquire water has blinded us to its value. Out of necessity, the Ancestral Puebloans developed water conservation methods. Out of reverence for that which gives life to this planet, we would be wise to do the same. Our bodies are composed of 70% water which means we need it to survive. However, our use of water far outstrips this survival threshold. The average American family of four uses about 400 gallons of water every day, approximately 70% of that indoors and most in the bathroom. A bathroom faucet puts out 2 gallons of water per minute, about 200 gallons a month if you brush with a wide-open tap. In industrialized nations, freshwater withdrawals have tripled over the last 50 years to keep up with our demand for food, goods, services, and hot showers. Compare the water usage of an industrialized nation to that of an ancient tribe and even accounting for population growth you have two entirely different scenarios. Perhaps if we had to pay more for water? Despite its ubiquitous nature, less than 1% of water is available for human use. The rest is salt water (oceans), frozen water (polar ice caps), or inaccessible water (groundwater trapped in an impermeable state). We need water to grow or produce everything we eat or drink as well as the products we use. Here’s a few facts about how much water it takes: a slice of bread - 1 gallon; chicken - 10 gallons; a cup of coffee - 2 gallons; 1 pound of corn - 50 gallons; 1 pound of eggs - 20 gallons; 1 pound of hamburger - 450 gallons; 1 sheet of paper - 3 gallons; a cotton shirt - 100 gallons; 1 pound of wheat - 60-100 gallons. Anyone with a checking account knows that if you bounce a check the bank charges you overdraft fees. What if we metered water usage and charged users overdraft fees in a tiered approach? Start with a flat amount for a particular class of user and as the usage goes beyond that amount, the price increases. What if we account for the true cost of food on the environment? Even valuing water at pennies on a gallon, beef is 450 times more costly than bread. If you had to pay $30 for a hamburger to cover the water processing costs, would you still eat it? My guess is most people would switch back to more plant-based diets. The upside is less cancer, heart disease and a reduction of the general physical and emotional malaise that comes from eating an overabundance of processed foods. In a water-rich world -- one we are no longer privileged to be living in -- perhaps these factors don’t matter, but in our modern water-poor world, this concept makes sense. Further, simply conserving water will not be enough; it’s akin to using a band aid when you need a tourniquet. We need both: a more sustainable attitude and additional water sources. We needed feasibility research and development to explore regional water use solutions, especially in agriculture and manufacturing. Crucial speed-up adaptation is needed of more sustainable watering practices such as drip irrigation, overhead irrigation, soaking hoses, the use of water efficient crops, and water-wise planting. Using your purchasing power to buy products from manufacturers who commit to using less water during the manufacturing process (ideal is the concept of water-neutrality) would go a long way to delay if not halt the impending water shortage issues. The true costs of our lifestyle on the environment and the choices we make should be accounted for by each of us before our assimilative capacity is reached. P. J. Lazos is an environmental attorney practicing in Philadelphia, and the author of “Oil and Water,” an environmental murder mystery about oil spills and green technology. Her work and travels have shaped her water-wise view of the world; she values her carefree access to clean, potable water, and envisions a world where everyone has that same daily experience.